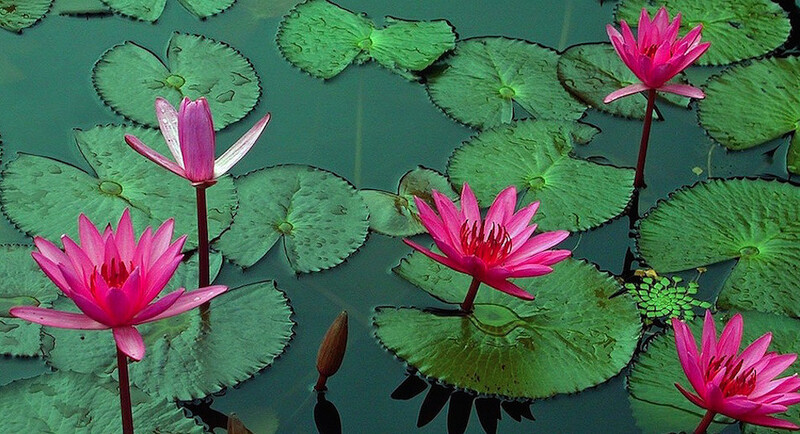 The liver is essential for so many things, but most importantly, it is one of the most vital internal organ to support weight lossand help us to detox from the millions of poisons in our air, water, and soil. Without the liver, and bile produced by the organ, we simply couldn’t lose weight, no matter how much we exercised or ate sensibly. This is because the liver helps to create and process special enzymes called lipase that digest fats – and guess where most of the toxins in our bodies are stored when they aren’t running through our bloodstream – you guessed it – in our fat! It is essential to include detoxifying foods every single day to naturally have a liver cleanse diet. It should come as no surprise that those with clogged and over-taxed livers have a very difficult time losing weight, or feel that they have no energy to carry them through the day. They might also suffer from other ailments like acne, eczema, psoriasis, bloating, headaches, and more, from carrying around an excessive toxic burden. Our poor liver need some help! Without bile, made by the liver, the body could neither take in nutrients or expel unnecessary matter that our bodies don’t need. Further, without proper bile production and bile acids, we can’t lose weight! 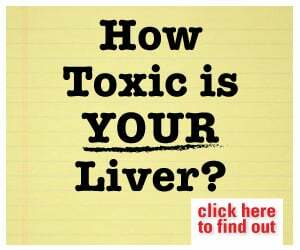 We shouldn’t even consider trying to lose weight if our livers are clogged and toxically overloaded! The liver’s main job is to aid the lipase enzymes to digest fats; if your liver or gallbladder (where bile acids are stored) are not working properly, fats and toxins will not be broken down correctly and will start building up, thereby causing weight gain. The liver is the largest internal detoxification organ, so it should be attended to in any weight loss plan. When we eat poorly, the liver actually makes more fat (to store the toxins) and keeps us overweight. Consuming herbs that support bile production and overall liver cleansing help us to eliminate the toxins instead of hold onto them. When the liver is ‘feeling better’ it starts to work more efficiently and frees up energy to motivate us to move more. We then experience boundless energy and actually want to exercise – leading to more weight loss. Garlic – Due to allicin and selenium, which both help the liver to detox the body. Borotutu Bark – Derived from African Borututu tree bark (Cochlospermum angolensis), this herb has been used for centuries to support the liver as well as gastrointestinal problems. Organic Virgin Apple Cider Vinegar – With it’s vitamins, minerals and alkalinity-restoring capabilities, ACV is wonderful for supporting the liver. Milk Thistle – An herb used for over 2000 years to support the liver, gallbladder, and kidneys. 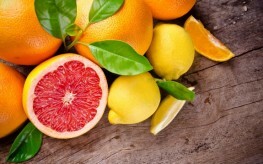 Grapefruit – High in vitamin C, enzymes, and antioxidants that support liver functioning. Leafy Greens – Due to high antioxidant levels. These can be kale, spinach, collards, etc. Green Tea – Due to its catechins which support liver detox. Apples – Apples are full of pectin, and pectin supports detoxification through the bowels, it making the liver’s job easier as it lessens it’s toxic burden. Beets and Carrots – Due to high levels of carotenoids and plant-flavanoids. Avocados – Full of glutathione that helps the liver detox toxic chemicals. Chicory Root – This beautiful herb with sky blue flowers has been used for over a thousand years to cure liver disease, including jaundice. The above foods are great to include in your liver cleanse diet, but don’t stop there! Learn how to clean your liver with these 5 natural liver-cleansing tips while implementing a liver cleanse diet. This vital organ deserves more attention than you might think.